Leto freshman Coltin Pizzio slaps a double to left field to drive in the Falcons first run of the game. 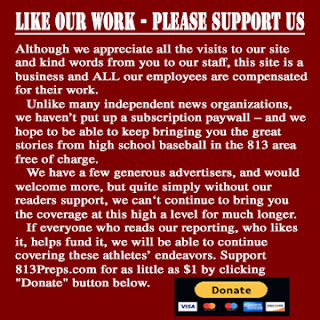 TAMPA – Leto’s offense has made a habit of making mistakes by its opponents hurt, and Wednesday morning was no different with two miscues costing Robinson in an excellent Saladino Tournament pool-play Breakfast Game, as the Falcons made the most of an early error and a fifth-inning wild pitch, and wrapped up Pool 7 with a 3-1 victory. 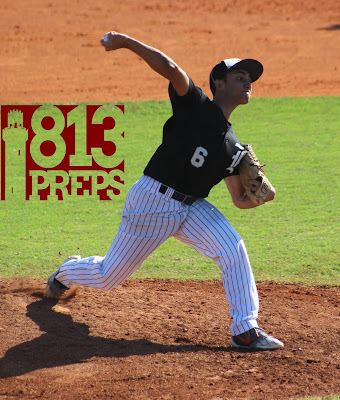 Two crafty senior pitchers squared off in the chilly morning air, as Leto righty Christian Suarez worked his fastball early in counts and baffled at times with his breaking stuff, while Knights right-hander Koby Fogg worked an impressive curveball in for strikes early. 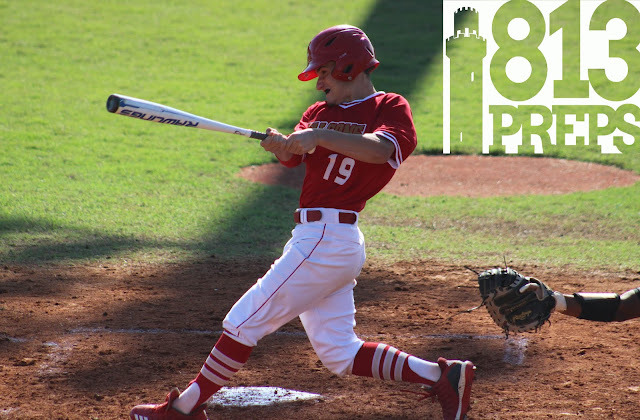 Leto (8-1) got on the board in the second as a throwing error on a double-play attempt extended the inning and put a runner in scoring position for freshman Coltin Pizzio, who lined an RBI double to left field on fastball. 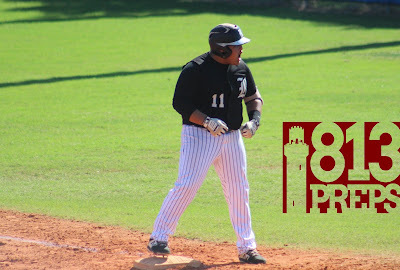 Pizzio has had a nice start to his high school career, taking over the starting second base position and hitting .375 with eight runs scored, and has a hit in each of the Falcons’ Saladino games. 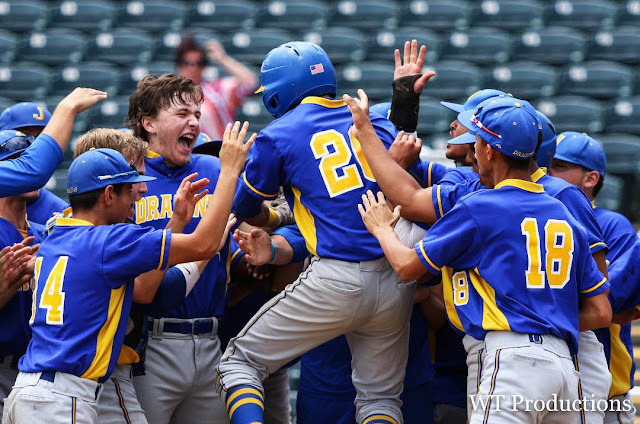 Pizzio was right on all accounts, and Leto checked the last two of those boxes in the win, turning a double play in the first and then with speed to spare plucked balls out of the air in the outfield all day. Highlight catches from freshman right fielder Brayan Perez coming in the fifth breaking on a ball way behind him and running it down for the first out, then centerfielder Damien Breton coming from his position to grab a ball behind shortstop to end the frame, while Tomas Lozano stole a gapper toward center of his own the next inning. Robinson senior Carter Fair singled in the Knights run in the fourth. Robinson (5-4) picked up a run in the fourth after Ben Maskin and Michael Swanson singled, when Carter Fair sent a ground ball back up the middle to plate the Knights lone run. 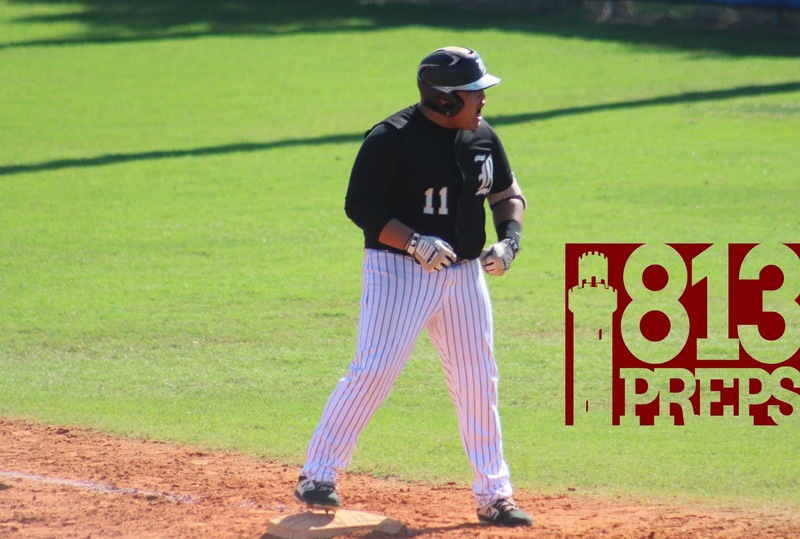 With his defense putting in work behind him, Suarez pounded the zone in his complete-game effort, striking out seven, while allowing four hits. 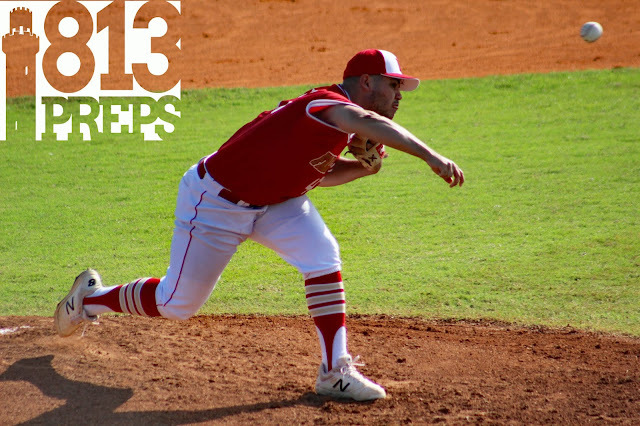 Suarez moves to 4-0 on the year, and ties current Leto assistant coach Jose Pupo at 17 career wins for the school mark during head coach JJ Pizzio’s 13-year tenure. Falcons senior Christian Suarez improved to 4-0 on the season with his complete-game effort against the Knights. Suarez struck out seven on the day and now has 17 career wins on the mound at Leto. On the other side, Fogg worked five innings in the loss, while striking out a pair. 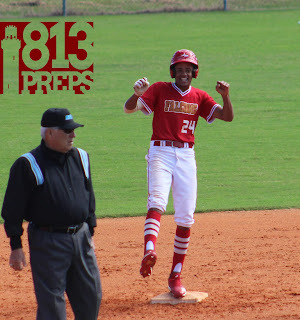 The senior ran into trouble in his final inning of work as Leto got a one-out single from Jose Santos, a walk was issued to RJ Gutierrez before an RBI double from Breton and a wild pitch gave the Falcons all the runs needed for the win. Leto sophomore Damien Breton celebrates double. Breton, who was 3-for-3 in the game, said the additional run via the wild pitch and taking advantage of given opportunities is something he and his teammates take a lot of pride in.